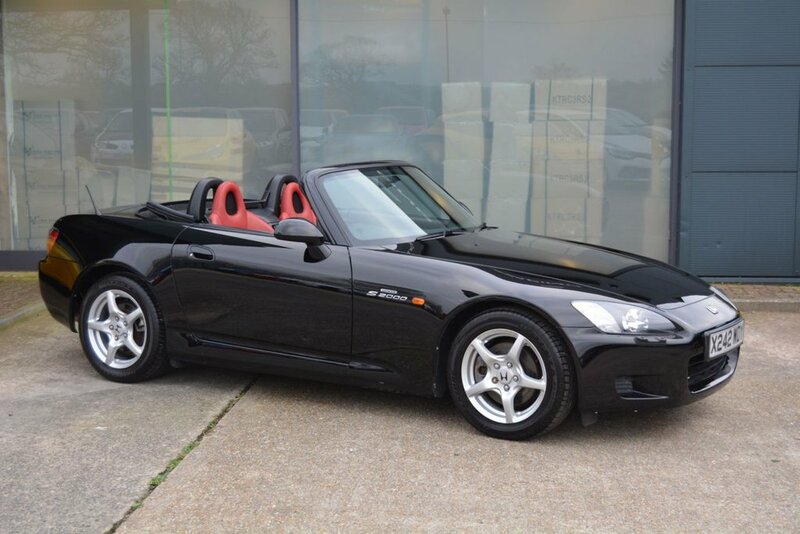 Here we have a stunning Honda S2000 presented in superb black paintwork with contrasting unmarked silver alloys and a full red leather interior. This amazing car has covered just 18,000 miles from new and has just been through our workshop where we have carried out a full inspection along with full service. It has has just 3 owners from new and is supplied with a service history and it is MOT'd until April 2020. It is presented in superb all round condition and everything works as you would expect from such a low mileage car. These have been appreciating very well over the last couple of years so it could be looked at as a very good investment at this price point and mileage. Free self adjusting finance calculator available on request, just email us for a free no obligation quote. Fully tailored low rate finance packages available with low deposit and up to 5 year term. Warranty extension from our standard 6 months to 15 months from just £149, please contact us for more information. All cars Experian Auto Check clear.